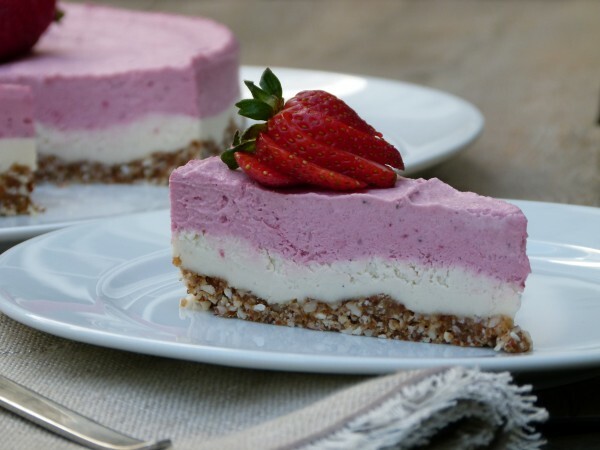 I taught this luscious dessert in my classes two years ago, but I had seen cashew “cheesecakes” all over the place for many years. But of course I didn’t get it. 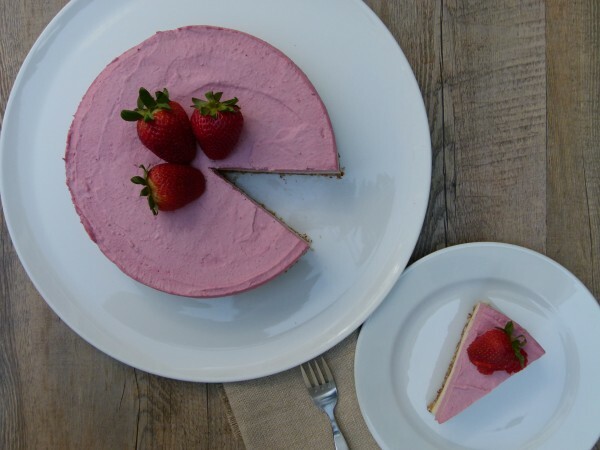 I didn’t understand how blended cashews could be turned into something that resembled cheesecake, a cheesecake that I would actually want to eat. So I put off trying all these recipes that I saw on Pinterest and Foodily. I caught glimpses of vegan cheesecakes made with chocolate, key limes, pumpkin, lemon and lavender, blueberries and so on. I just wasn’t convinced. My mother-in-law and I have an arrangement for Passover — I make all the desserts for both seders and she does everything else. I clearly got the easier, more fun job. However baking for Passover, a holiday which revolves around NOT eating anything with grains or flour made from grains, isn’t as straightforward as baking for any other holiday. But I still have lots of fun coming up with delicious treats that don’t involve a box of Manischewitz cake mix. Every year I make the very traditional coconut macaroons, as well as a lemon ice torte that I have been making since I graduated from college. And no holiday would be complete without something chocolate, so I bake a few mini-flourless chocolate cakes. So delicious. But I can never leave well enough alone, so one year I decided to give this cashew cheesecake thing a go. OMG. Get out of here. I was blown away! And then super bummed I had let so many opportunities to go by when I could have been enjoying this deliciousness. The texture is so much like cheesecake. Very rich and creamy, and slightly sweet. I really couldn’t get over it. Of course the crust is raw and vegan, consistent with the rest of the cake. 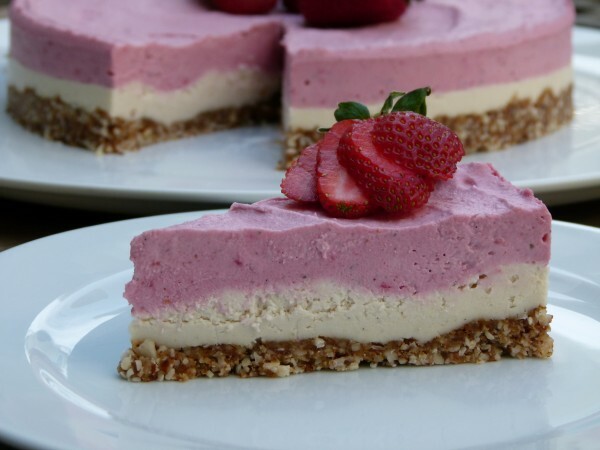 But I think you could go with a graham cracker crust and fool everyone into thinking this is cheesecake. What amazed me about this cake is how digestible it is and how clean the ingredients are. 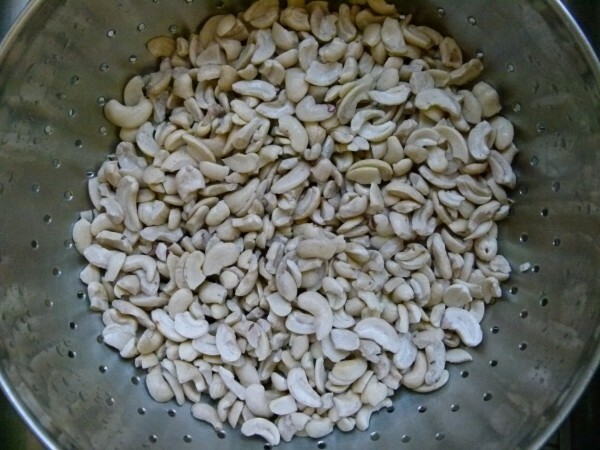 We use soaked raw cashews (read my post about why soaking nuts and seeds is beneficial to your health,) coconut oil (such a good, healthful fat), honey or maple syrup (not going to save your life, but less acid-forming than refined sugar), lemon juice and vanilla. Amazing. Although, I did a little rough math and this isn’t the kind of dessert you can eat very often because it’s really high in (good) fat and calories. Just saying, in case you were tempted to eat half a cake. Not a good idea. In fact, I put on a few pounds in the months I was testing this recipe. True story. But this is a fantastic idea for Passover or Easter and no one will ever in a million years guess what’s in it. Another fun Passover dessert coming soon! 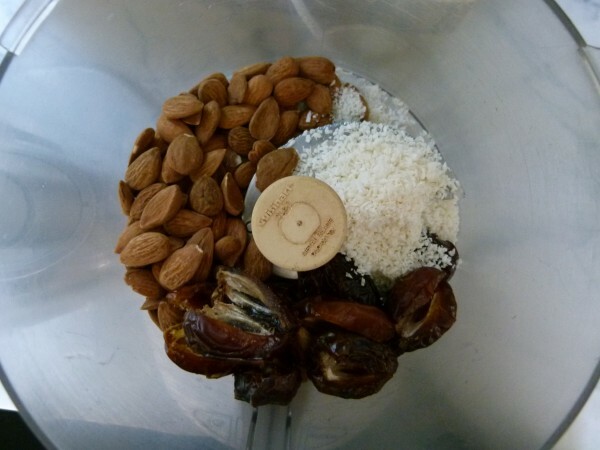 Place almonds, dates, coconut and salt in a food processor and process until the mixture holds together (it should be sticky). Transfer the mixture onto the bottom of a 9” spring-form pan and press firmly, making sure that the edges are well packed and that the base is relatively even throughout. In a Vita-Mix or food processor, place all filling ingredients (except strawberries) and process on high until very smooth. This may take a minute or two. Pour about 3 cups of the mixture onto the crust and smooth with a spatula. Add the strawberries to the Vita-Mix/food processor and blend until smooth. 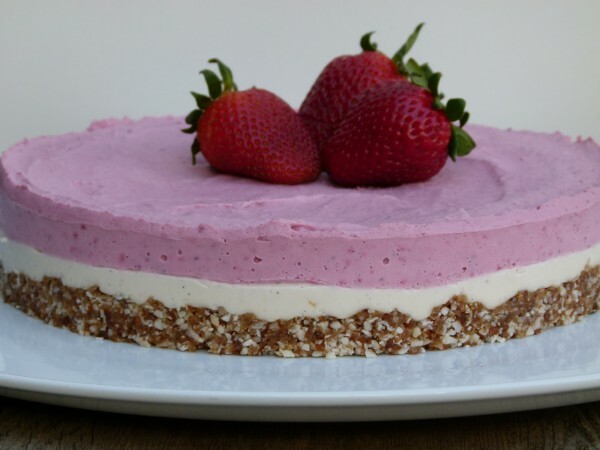 Pour the strawberry mixture onto the first layer of filling. Place in the freezer until solid. Cover with foil to protect from freezer burn. To serve, remove from the freezer at least 60 minutes prior to eating. 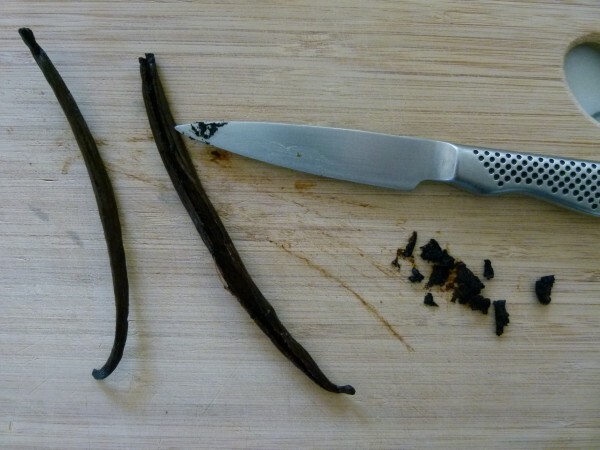 After it has defrosted, store in the refrigerator until ready to eat. 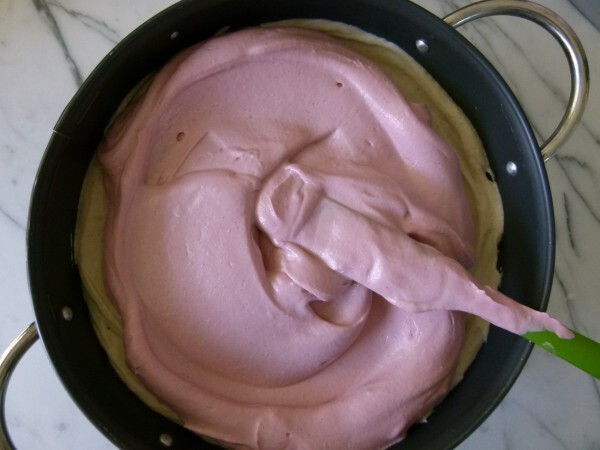 Run a thin knife between the cake and the pan and then release the springform ring. Serve on its own, or with fresh fruit. Store leftovers in the refrigerator if you plan to eat within a few days. Otherwise, store leftovers in the freezer. 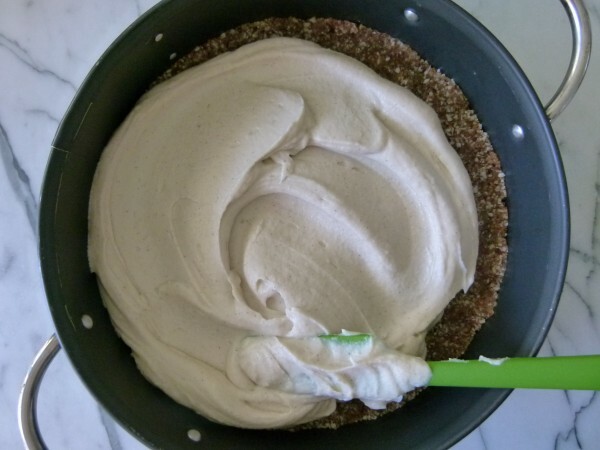 Unfortunately, there is no substitute for the cashews which become very creamy when blended, nor the coconut oil, which solidifies when refrigerated and gives the cake its firmness, otherwise it would be a gloopy mess. « Homemade Larabars and Laralollipops! How long does it need freezing for? This is in the freezer and I can’t wait to try it! Quick question: I tasted the filling, which was delicious, but a little bit grainy. Are the cashews meant to get completely creamy creamy creamy? Or is a little graininess to be expected? 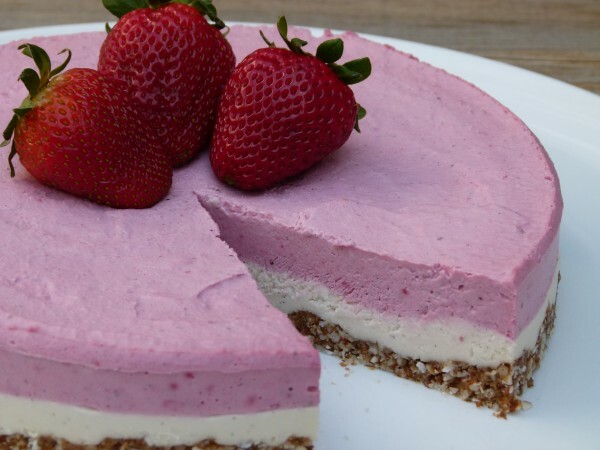 It’s my first vegan cheesecake, so I’m not sure what to expect. It should be creamy, although it’s hard to know what you mean by ” a little graininess.” It’s not quite as smooth as cream cheese, but you also shouldn’t really detect any graininess. 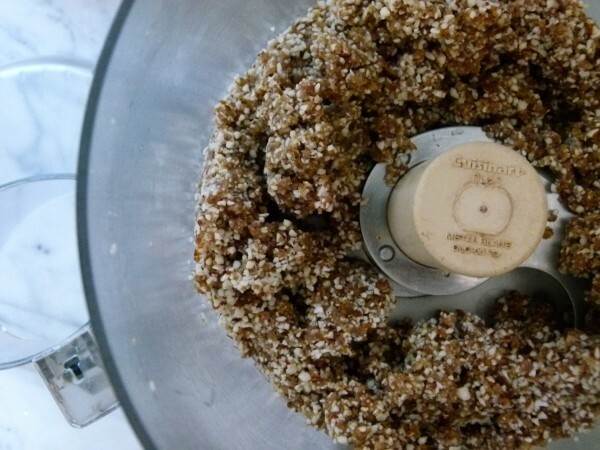 Whether you use a Vitamix or a food processor, keep blending until it’s as smooth as possible. It will still taste great this time even if you didn’t get it to be maximum creaminess. Thanks for your question! Thank you so much for your reply! I think I may have taken it out of the food processor too soon. 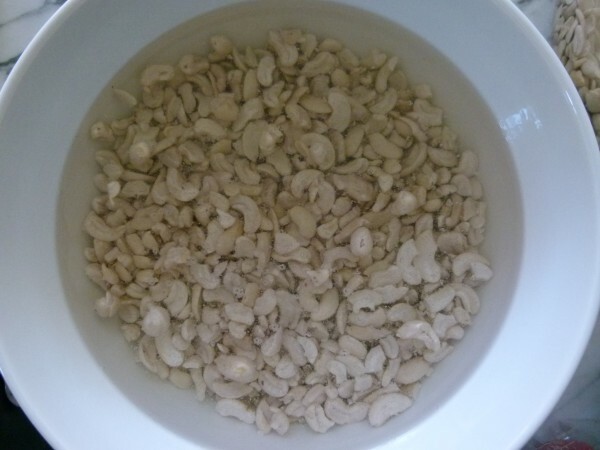 I might also try soaking my cashews longer next time, I’ve seen from another source that up to 24 hours can be ideal, especially if you’re not using a Vitamix or the like. Absolutely LOVE your blog. I come here a lot for sensible healthy recipes, and am finding a lot to work my way through now that I’ve acknowledged my inescapable sweet tooth that I’d like to satisfy in a healthier way. Thanks for everything that you do! Thank you so much for your kind words. Appreciate that so much. Yes, next time, try letting the food processor run a bit more. Hi Pamela! I only have roasted (not raw) cashews on hand — I realize raw would be best, but do you think this would still turn out okay if I used roasted? Thank you so much for this lovely recipe! Hi Holly, I would love for you to make this recipe because it is so delicious, but unfortunately roasted cashews won’t work. 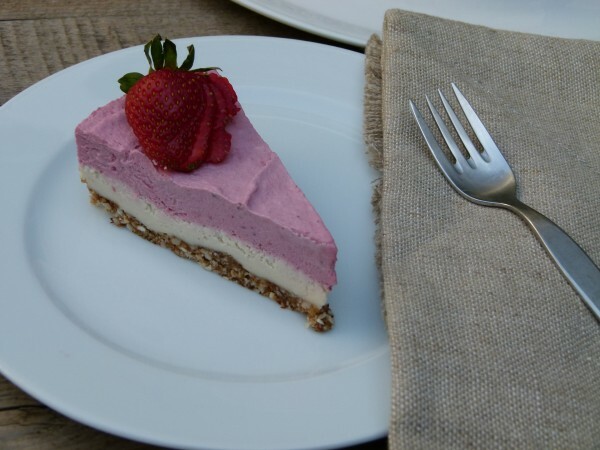 Only raw will get smooth and creamy and have that neutral flavor you need. Sorry! The crust is like a Larabar in crust-form, don’t you think? Super yum dipped in chocolate — wow! Oh, I have no doubt about that! Thanks you, I will try it for my family, although I am a DM. It seems so delicious. If I made it a pumpkin recipe, how would I change it? looks great to try! I’ve thought about doing that and I think you would add some (not exactly sure how much) pureed pumpkin and all the great pumpkin pie spices. You could use my pumpkin pie recipe as a guideline for how much of the spices to add. I wouldn’t use quite that much pumpkin, though. Let me know if you try it! My ALL TIME FAVE dessert! Yum! Yes, maple syrup is an even exchange for honey, but do use Grade A. No need to make any adjustments if you leave out the coconut. I just made two of these this morning for the seders! One more quick question. You say: “Place in the freezer until solid. Cover with foil to protect from freezer burn.” Is that to say you cover it with foil after it freezes, not before? Thank you, if I decide to try it anyway I will let you know. This. Is. Brilliant. I made a vegan pumpkin pie using soaked cashews a few Thanksgivings back… I don’t know why I never considered this. So you can also imagine the possibilities of flavors here….fun stuff! Pamela, this looks lovely! I once made vegan sour cream with soaked cashews but didn’t like the taste. However, I would think that the addition of maple syrup or raw honey would make it more to my taste so I purchased the ingredients and will soak the cashews tonight and make it in the morning. Thanks for posting! Well, the verdict is in….easy to follow recipe and very delicious! I made a quick strawberry sauce to garnish and decorate the plate. My daughter is studying to be a naturopathic doctor and she posted our photo on instagram at healthfoodsistas. 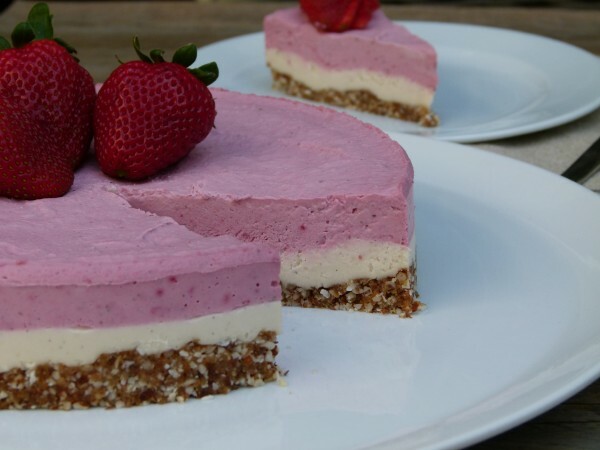 All her friends and followers are inspired by raw, vegan healthy food so this was a great recipe to let everyone know that there are delicious deserts for a healthy lifestyle. Thanks again.